The federal government says it has no plans to lower taxes on cannabis, even as other regions in North America embrace research that says lower levies may help eradicate the illegal pot trade. Jurisdictions in the United States with legal cannabis markets – such as California – are considering temporarily lowering cannabis taxes in hopes of encouraging consumers to migrate from the illicit market after disappointing early sales data. Recent research from the Institute on Taxation and Economic Policy (ITEP), based in Washington, D.C., argues that lower taxes in the early days of legalization gives the industry a chance to get on its feet. It also recommends phasing in cannabis taxes over time and allowing medicinal users to pay less than recreational users. The federal government, however, is not interested in following that advice. In addition to sales taxes, the federal government charges an additional $1-per-gram excise tax on all cannabis regardless of whether it is for recreational or medicinal purposes. Ottawa also charges cultivators an annual fee equal to 2.3 per cent of their cannabis revenue to cover the costs of regulating the sector. That regulatory fee, which is expected to generate roughly $100-million in annual government revenue, was strongly opposed by licensed producers when it was first proposed last summer. Legal pot remains nearly 50 per cent more expensive than the illegal alternative, according to crowdsourced data from Statistics Canada. Early sales data also came in much lower than expected, particularly in provinces with limited storefront access for consumers. 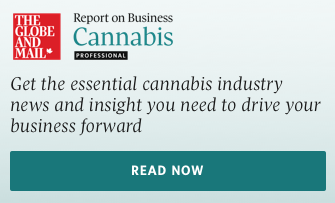 While taxes play a role in the legal market’s long-term ability to compete with illegal cannabis, the main challenge for now in Canada remains lack of supply. Last week, Nielsen Canada estimated Canadians would spend approximately $2-billion on recreational cannabis during the first year of legalization, less than half of what prelegalization estimates from CIBC and Deloitte had predicted. British Columbia sold just $3.3-million worth of recreational cannabis during the first six weeks of legalization, while Nova Scotia, despite being home to one-fifth as many people as B.C., sold more than $10-million of legal weed during the same time. Colin Hynes, spokesperson for the B.C. government, said part of the discrepancy had to do with the way Statistics Canada gathered the data, noting that online and storefront sales were combined for two weeks of legal sales in October but were reported separately starting in November. B.C. had only one store in the province − in Kamloops − authorized for sales during November while Nova Scotia had a dozen. “These statistics, looking at the first six weeks of legalization, do not represent the true picture of total retail customer sales in B.C.,” Mr. Hynes said. California is facing a similar problem − early sales are more than US$100-million below expectations − and policymakers there believe lower taxes are part of the solution. Assembly Bill 286, tabled last week, would temporarily cut state excise taxes for legal marijuana retailers from 15 per cent to 11 per cent and would suspend cultivation taxes altogether through 2022. “Once the legal marketplace has established its roots, once it is on its way to success, the tax rates will return under this bill,” legislator Rob Bonta told reporters during a press conference announcing the measure. According to ITEP, this is exactly the right approach. Time could also provide a solution, given that the legal marketplace in Canada is barely three months old. Colorado and Washington raised just US$54.6-million in cannabis tax revenue between them in 2014 − the first year of legalization in those states. However, that total more than quadrupled to US$218.5-million in 2015 as their retail networks expanded. Today, the State of Colorado is home to more than 500 legal pot shops. Canada has another issue when it comes to cannabis taxes: No distinction is made between recreational and medicinal purchases. The levies placed on doctor-prescribed marijuana − which were not imposed until recreational legalization took effect − have generated pleas from patients and patient advocates for exemptions. The ITEP agrees that those taxes are likely unnecessary.